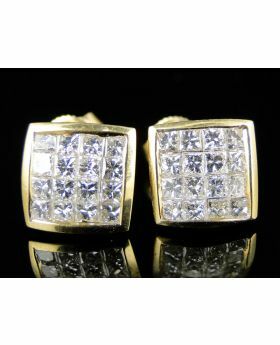 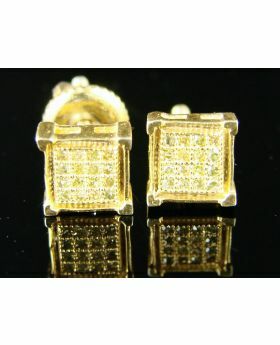 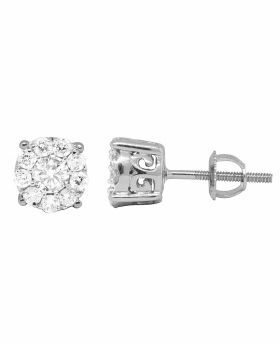 The item comes with beautiful gift box and appraisal (upon request) Certified Appraisals are available for an additional fee of $30 Look in our store for a selection of mens/ladies pave/princess diamond jewelry. 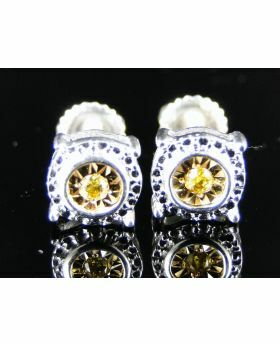 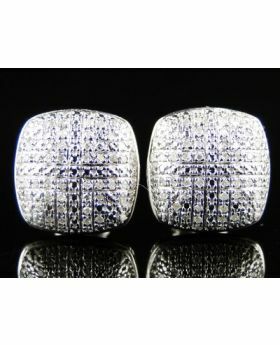 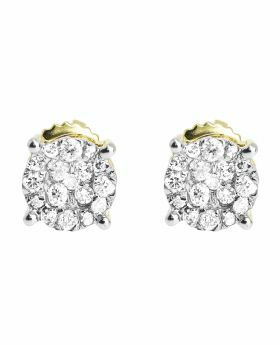 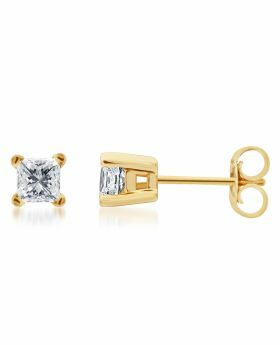 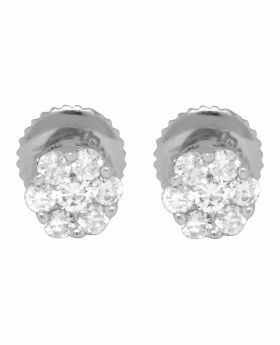 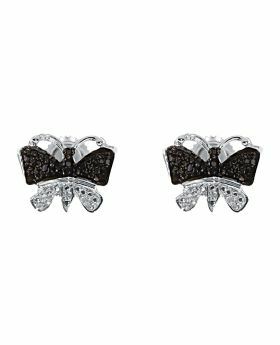 This Brand New pair of diamond earrings set in solid 10 k White Gold These are all genuine Canary round brilliant diamonds in an invisible pave setting. 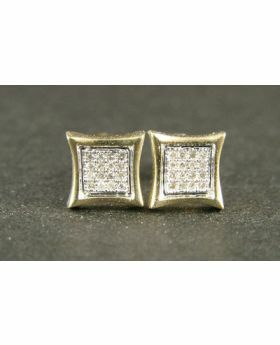 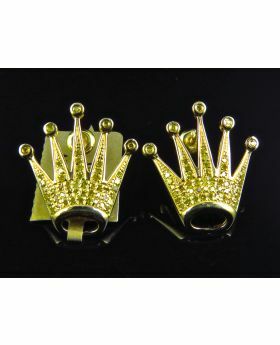 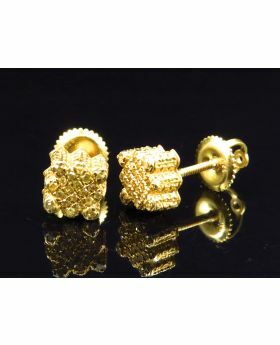 Simple, classy design..great for everyday wear.